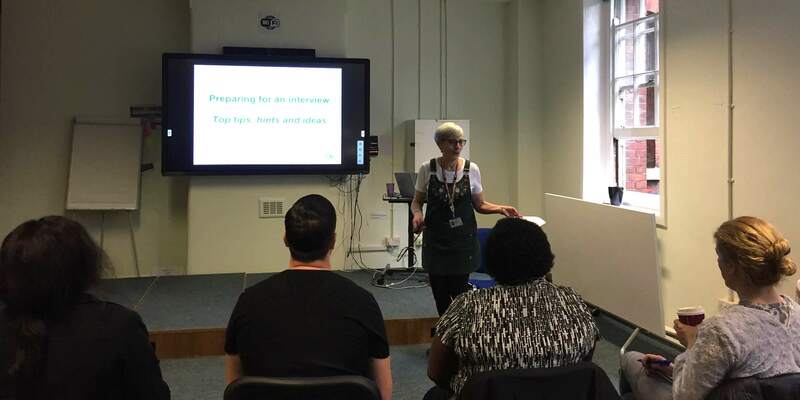 As part of Health and Social Care Careers Week run by the London Borough of Islington, the Trust was delighted to welcome members of the public to an Interview Skills workshop on Wednesday 20 March at St Pancras Hospital. This was in addition to our support of a Careers Fair on Monday 18 March. The workshop, which was held in partnership with Islington Council, was an opportunity for people to receive advice, tips and hints and to discuss together the development of robust interview skills and it touched upon topics such as: ‘What is the point of an interview?’, ‘How do you prepare for an interview?’ and ‘What types of questions are there and how might you answer them?’.